For 2 weeks now I have been using a very beautiful device. A device so nicely crafted that none of the phones I’ve used before could come close. It’s undoubtedly the new Nokia N9. If you have not been following, I have posted an unboxing video + photos of the N9 few days ago. One of the things that capture my attention and surprised me was the body. Yes it’s unibody case is made out of a 1-piece polycarbonate with a smooth rubbery texture. Yes we’ve seen unibody Macbook’s before but this is totally different. There is literally no openings no screws and no opening slots at all around the phone so there is no way we can peel off the casing to reveal the internals. The case which is curved all sides lead you to the screen, which is curved as well. It’s one of the best screen I’ve seen so far.. though its not big like the Galaxy S2, but it’s 3.9″ screen with 854 x 480 resolution just is good enough when coupled with the simple and clean interface. 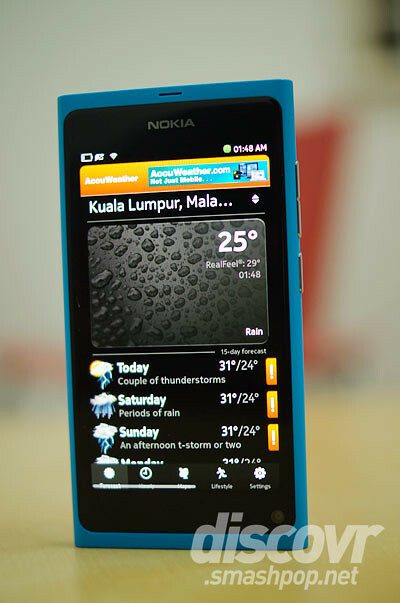 As claimed by Nokia, the interface really does looks like it’s floating on the surface of the glass. 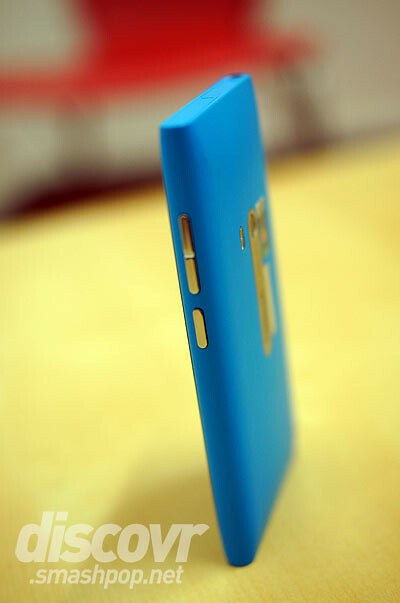 The only openings you can find on the N9 is the simcard and microUSB port slots. The speaker is located at the bottom of the phone. Power button and volume toggles are on the right side. There is no slot for expandable memory. So you should really think if 16gb is enough for your usage, or else you can opt for the 64gb variant which only comes in Black. The apps that came with the N9 are enough for a normal consumer’s daily usage but definitely insufficient for more advanced users. I would say that apart from the N9 hardware, the interface for all the apps like phone, calendar, music player, messaging are very amazing as well. In fact, I can say that the Meego OS looks the best among all the phones and platforms in the market now. Swiping between screens, tapping and selecting, pinch to zoom and all other gestures works very smoothly all round. The camera on the N9 is applausible. It’s by far the fastest camera I’ve used. The iPhone 4 cannot even come close to match the speed of the camera on the N9. Even the Nokia N8 feels sluggish when tested side by side with the N9. I personally love the tap to focus feature which is very useful during HD recordings. Another feature I like about the N9 is NFC. Transferring files to another device has never been simpler. Just tap the N9 to another NFC enabled device and connection will be established at once. I use the feature with my NFC headphones at home and it works like a charm. 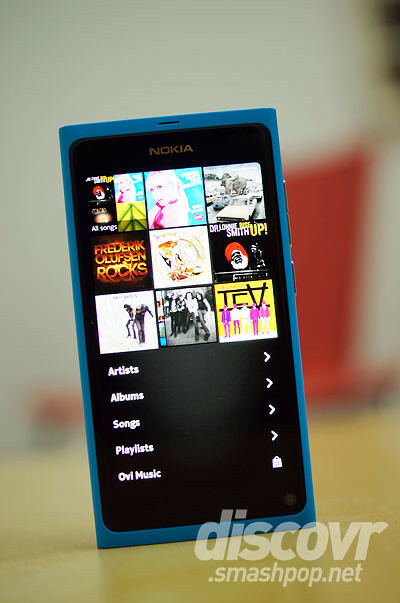 All I do is just tap the N9 to my headphones and the audio will play immediately on the headphones instead of the loudspeaker on the N9. Some concerns regarding the Nokia N9 before you make your purchase. – It’s the last Meego device by Nokia, as we all know it, their future smartphones will be powered by Windows Phone and not Meego. – Apps selection is very limited for now but most of the essential apps are already available on the Nokia Store like Skype, Foursquare, Twitter, Facebook, Angry Birds etc. – If you are an avid Whatsapp user, the N9 might not be your choice as the app is not available for Meego platform. You will still get other messaging protocols built in though (Facebook chat, Skype, Gtalk). 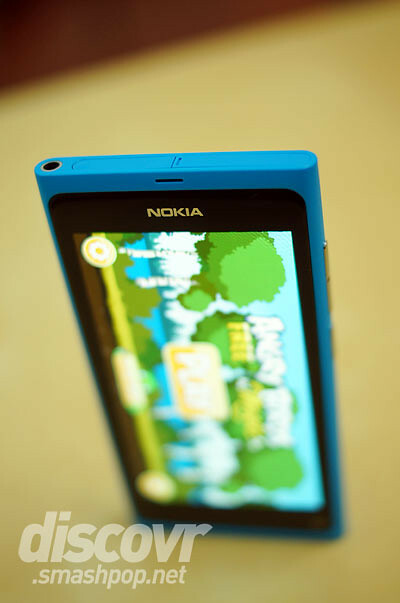 Check out this video below to see how fluid the interface is on the Nokia N9. DETAILED REVIEW OF INDIVIDUAL FEATURES ARE COMING SOON. Stay tuned for more detailed reviews coming next week. 4 Responses to "Nokia N9 Review. Most Beautiful Device I’ve Ever Used [video]"